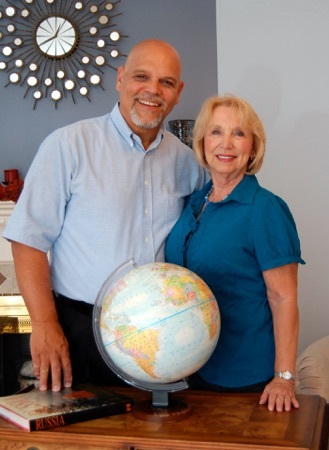 Tom and Deborah served as missionaries in Russia and Eastern Europe for 16 years before founding IBT. Before that Tom pastored churches in the United States for 23 years. They bring many years of experience to the leadership of IBT. Tom currently serves as President of IBT, and teaches regularly in various countries around the world. Dr. Thomas A. Nite graduated from Calvary Bible College (B.S. - C.E. and Bible), Temple Baptist Seminary/Luther Rice Seminary (M.Div. - Pastoral Ministry) and Luther Rice Seminary (D.Min. - Pastoral Ministry). In Russia He served with Campus Crusade as Director of Moscow Bible College, and as Community Ministry Director for Campus Crusade, Russia. He currently teaches in Bible Colleges, Seminaries and Conferences in Eastern Europe, India, Africa and the Caribbean. Deborah Ailey Nite graduated from Moody Bible College with a B.S. in Biblical Studies. She is a gifted Bible teacher, and served with Campus Crusade for Christ as an elementary music teacher at Hinkson Christian Academy in Moscow, Russia. Currently she teaches pre-school music classes and leads a women’s prayer group.